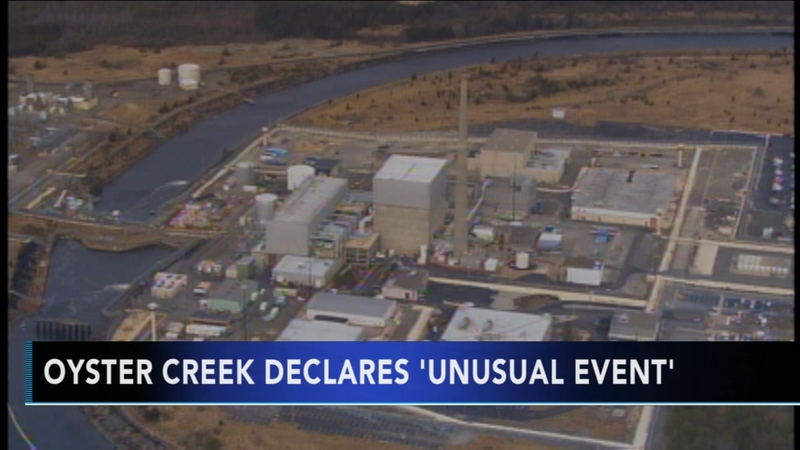 LACEY TOWNSHIP, N.J. (WPVI) -- The nation's oldest operating nuclear plant has resumed normal operations after unusually low tides and high winds impacted the water levels in its intake canal. Oyster Creek reduced its power and declared an unusual event around 5:25 a.m. Saturday. That's the lowest of four emergency classification levels used by the Nuclear Regulatory Commission. Although water levels later returned to normal, plant officials left the declaration in place until operators could confirm the environmental anomaly wouldn't recur with the next tidal change. The unusual event was ended shortly after 11 p.m. Saturday. A plant spokeswoman says minimum water levels were established "as one of many conservative measures" to ensure that operators had access to multiple and redundant sources of cooling water.